Seatools houses a large knowledge base in the field of subsea pressure compensation and (mission-critical) pressure compensators. This knowledge we acquired by not just selling compensators, but also incorporating them in all of our own projects. This means our underwater pressure compensator designs contain more than 15 years of experience and knowledge gained from internal design reviews and field feedback. 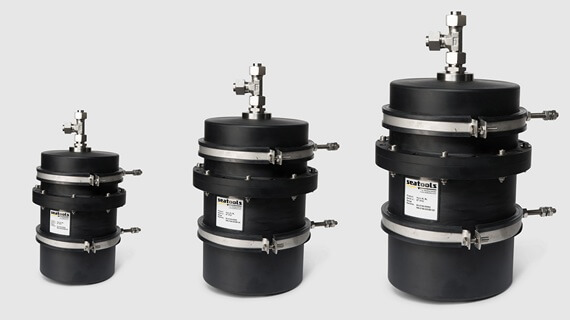 Based on our knowledge base, we developed a high-quality standardized subsea compensator range over time, and provide appropriate pressure compensators for virtually every application. 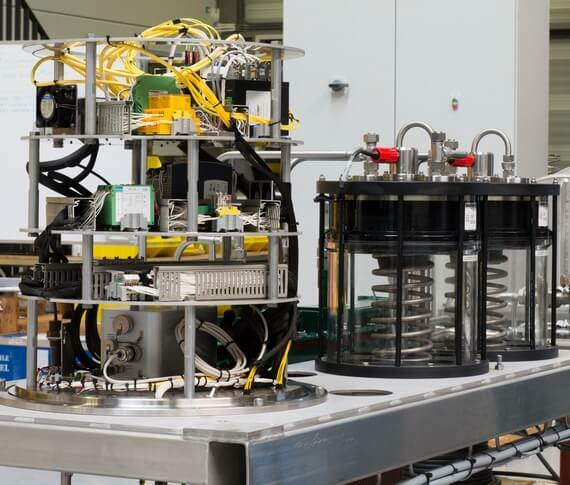 However, we are also able to design and build custom-made subsea pressure compensators and subsea fluid reservoirs for any specific application and technical requirement. Next to providing equipment, we advise our clients in the selection, installation, and use of our compensators. We do so, taking into account temperature ranges, pressure ranges, filling levels, entrapped air, fluid behaviors, and other factors. Moreover, we consult clients about the installation and use of a compensator in subsea hydraulic systems. For all our compensators and reservoirs we offer qualification and test programs designed to meet our clients’ requirements. Our programs include internal and external pressure testing, functional testing, fatigue and life cycle testing, temperature range testing, and contamination testing. Would you like to discuss your project with our experts? We gladly review your project and exchange ideas in a way that takes your project forward. Thanks to four different compensator ranges, Seatools can provide subsea pressure compensation for nearly every application. 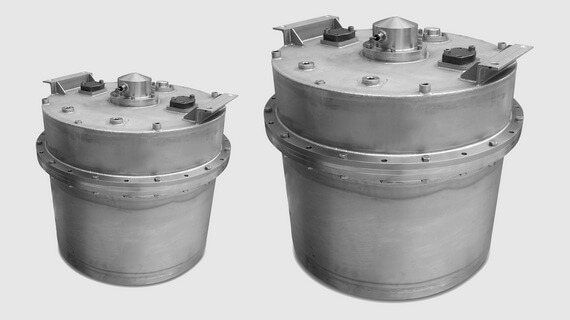 In case our standard compensators do not meet your requirements, we design and deliver custom-made compensators and fluid storage systems, which are optimized for your needs. 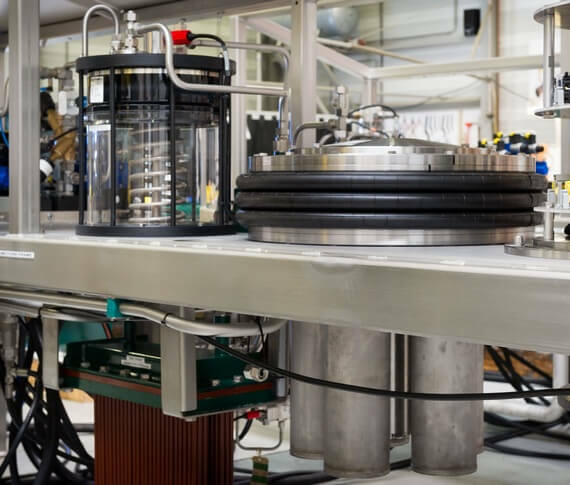 Not only do we deliver subsea pressure compensators – we also supply related hydraulic components and systems such as subsea HPUs, hydraulic filters, and valve boxes. Beyond this offering, we provide complete hydraulic systems that including all related systems such as mechanics, software, electronics, and controls. In order to guarantee first-time-right delivery when a system is commissioned, we also simulate electro-hydraulic systems from front to back. During the past 15 years, our compensators have been used across the board. The feedback we received from our clients has resulted in subsea compensators of the highest quality level. 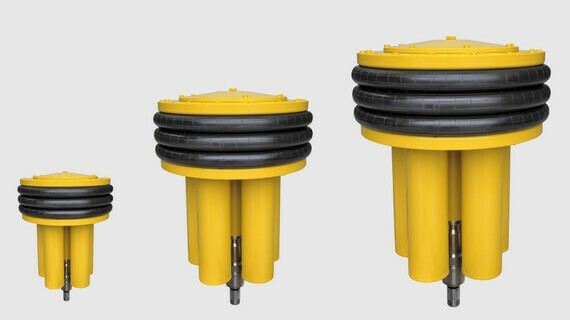 A range of cost-effective underwater pressure compensators featuring a light-weight design and volumes ranging from 0.6 to 6 liters. Because mass constitutes an important criterion in the construction of an ROV, our light-weight basic series compensators are a perfect match for ROV applications. 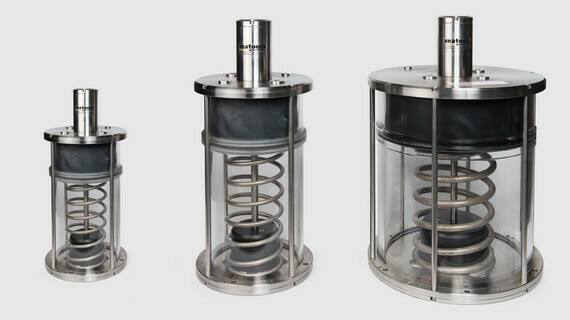 High-end subsea hydraulic compensators with compensation volumes ranging from 0.6 to 15 liters. Time-proven, highly reliable, and solid designs that facilitate relatively high overpressures. Largely customizable, with options for hydraulic connections, electric connections, level measurement, and more. Subsea hydraulic compensator range of a rugged design with capacities that range from 40 to 250 liters. 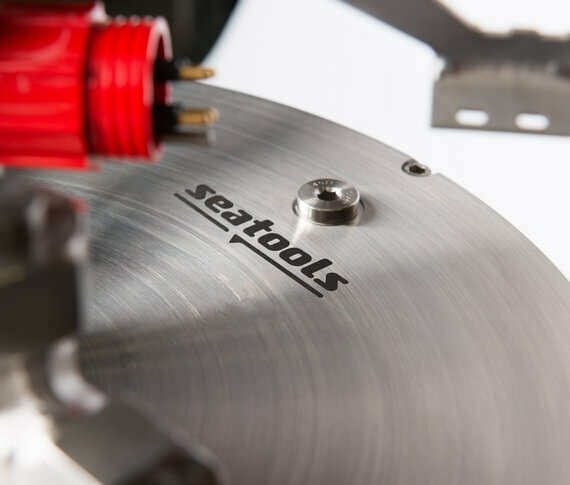 Made from stainless steel, and able to withstand the most extreme of conditions such as during dredging operations, when shock loads and vibrations prevail. Hydraulic compensators for permanent subsea applications, such as a control fluid reservoir integrated in subsea production systems. Thanks to their ingenious designs, a minimum of moving parts is exposed to sea water, which results in a compensator lifetime of more than 20 years. Compensator capacities range from 20 to 200 liters.